Minimum quantity for "Day Delegate - Morning, lunch & afternoon break" is 10. 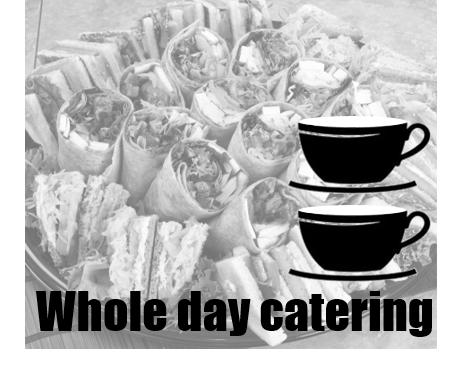 Our whole day package provides you with tea/coffee/water and mini pastries in the morning, tea/coffee/water and sandwiches for lunch and tea/coffee/water and mini cakes in the afternoon. Please let us know the time of your meetings and we will be there ahead of this time - up to one hour before. 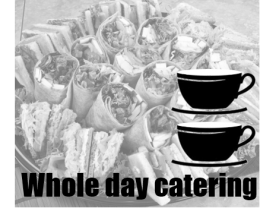 Please note that this is a delivery only package with disposable plates and cups but we can provide you with ceramic plates and cups for an additional charge.